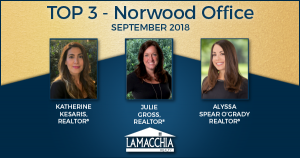 Lamacchia Realty, Inc. has released their “Top Producing Agents,” for September 2018! 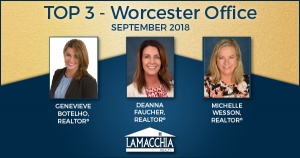 This program recognizes Lamacchia Realty agents with the Top 5 agents by company and Top 3 agents by office with the highest transaction numbers or sales for the month! Genevieve Botelho started in the real estate business back in 2003 joined Lamacchia Realty in 2014 and within 12 months her business exhibited an outstanding rate of growth at 1,200%! Genevieve works out of our Worcester office serving clients in Central Massachusetts. She was the Lamacchia Realty review contest winner in 2016 and was a finalist in 2017. Click here to watch her bio video or to learn more about Genevieve and read her bio, click here: Genevieve Botelho. Angela Harkins has been a REALTOR® since 2001 and built her own team back in 2008. She became affiliated with Lamacchia Realty in July of 2015 and she covers Northern Massachusetts and Southern New Hampshire. 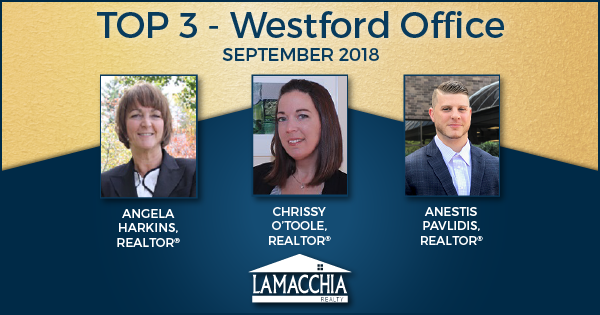 Angela has really loved her time with Lamacchia Realty and last year took part in our Get More video testimonials where she described how working here has helped improve her work-life balance and has improved her sales. Click here to watch her bio video or to learn more about Angela and read her bio, click here: Angela Harkins. 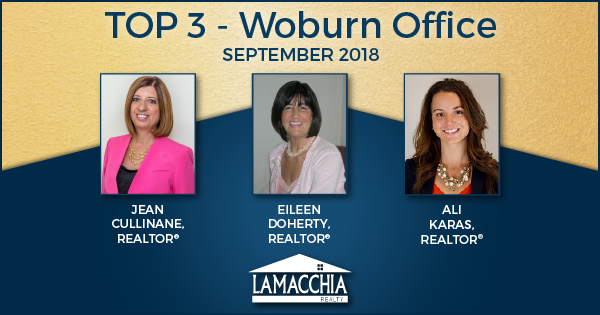 Jean Cullinane is one of Woburn area’s top agents because of her dedication to fulfilling her client’s needs and because of her experience in real estate for over 20 years. She is very familiar with properties and resources in the area and is equipped to assist you whether it be to find a starter home, your dream home or a retirement home for customers ready to downsize. 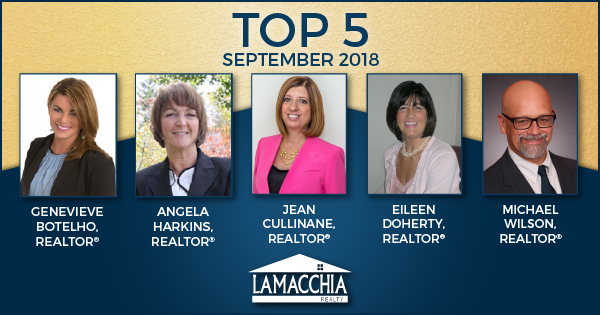 Click here to learn more about Jean Cullinane. Eileen Doherty grew up in Woburn and resides in the area to this day. 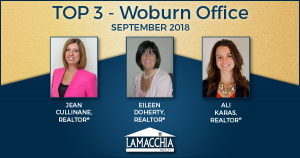 With her expert knowledge of Woburn and the surrounding towns, it is no wonder that she has been the top agent in Woburn for over twenty-five years! Eileen is a member of the Lamacchia Realty 2018 President’s Club. Click here to learn more about Eileen Doherty. 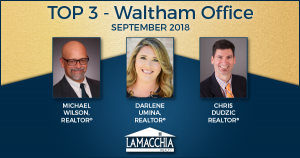 Michael Wilson is our exclusive rental agent for both Lamacchia Property Management and Lamacchia Realty handling home sales and rentals all over the greater Boston area, especially in towns like Cambridge, Somerville, Arlington, Belmont, Newton, Brookline, Watertown, and Waltham. He’s lived all over the Greater Boston Metropolitan area since 1984 and currently resides in Cambridge. Click here to learn more about Michael Wilson.